BRITAIN: Parliament Smacks Down May's Brexit Deal - Joe.My.God. Theresa May has suffered a second humiliating defeat on her Brexit deal, as MPs rejected the last-minute reassurances she won from the EU27 on Monday, and voted it down by a majority of 149. With just 17 days to go until the UK is due to leave the EU, MPs ignored the prime minister’s pleas to “get the deal done”, after the Democratic Unionist party (DUP) said it could not support the agreement. "These are unenviable choices… But they are choices that must now be faced." 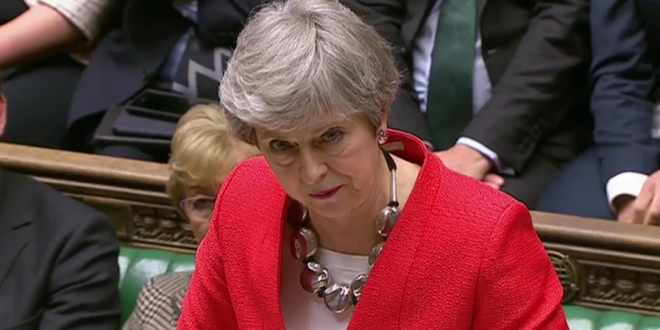 Theresa May says MPs must choose between revoking article 50, holding a second referendum, or #Brexit with a different deal.